“We are here today to dialogue, to create, to unearth the big questions and bold strategies for moving conversation deeper and further around women and men of color in leadership in the American theater,” said Erin Washington, A.C.T. 's Interim Artistic Producing Associate and one of the organizers of the Women’s Leadership Conference that A.C.T. hosted on Monday at The Strand. Research from the Wellesley Centers for Women. Infographic created by A.C.T. Marketing Team. The conference began with the presentation of research conducted by Sumru Erkut and Ineke Ceder from the Wellesley Centers for Women. It was followed by responses from a panel including Seema Sueko (Deputy Artistic Director at Arena Stage), Shafer Mazow (Senior Grants Manager at Exploratorium), Michele Shay (actress, director, and producer), Elena Chang (Associate Director of Equity, Diversity & Inclusion at Theatre Communications Group), Anne Kauffman (Board Member at Stage Directors and Choreographers Society), and Rhodessa Jones (Co-Artistic Director at Cultural Odyssey). 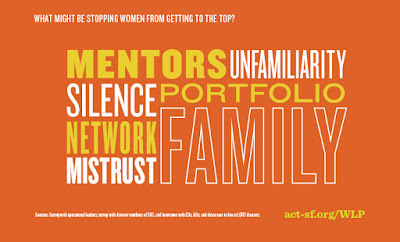 The Women’s Leadership Project began over two years ago when A.C.T. 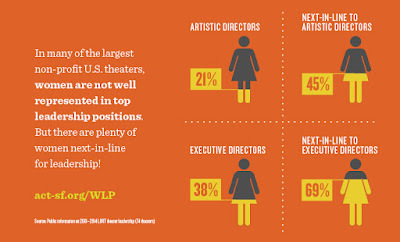 Artistic Director Carey Perloff and former Executive Director Ellen Richard approached the Wellesley Centers for Women to examine why women are underrepresented in the highest artistic and administrative positions. It was made possible by grants from the Virginia B. Toulmin Foundation, the Valentine Foundation, the Wellesley Centers for Women, and individual donors. The purpose of the project and of the conference was to discuss “how we change the image of who is trusted with leadership,” said Perloff. 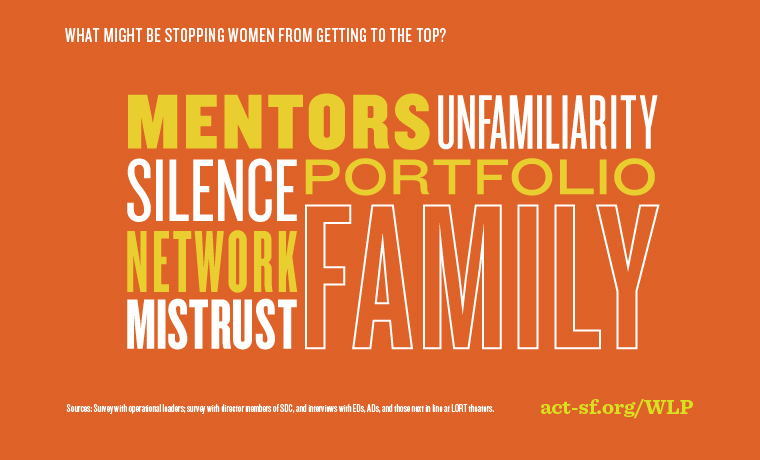 An in-depth look at the study’s findings can be found here on A.C.T.’s website, and here on the Wellesley Centers for Women website. To watch a recording of the event, click here. For more information about gender equity issues in Bay Area, visit the San Francisco Gender Equality Principles website.